David Khayat, MD, PhD, FASCO, is the Head of the Department of Medical Oncology at Pitié-Salpêtrière Hospital, in Paris, France. 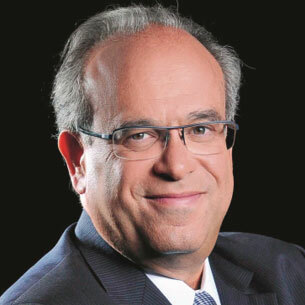 He previously served as President of the French National Cancer Institute from 2004-2006. An ASCO member since 1987, Dr. Khayat has served on the Cancer Education Committee and Special Awards Selection Committees. He served as Chair of the International Affairs Committee and Associate Editor of the Journal of Clinical Oncology, among other activities. He has served on several editorial boards, including Cancer and Journal of Internal Medicine. He organized and was the first president of the French Federation of Medical Oncologists (FFOM) and received the National Order of Merit, the Legion of Honor, and the Academic Palms. Dr. Khayat received his medical degree from the Pierre and Marie Curie University in Paris, where he completed his doctorate in tumor immunology and was Chief Clinical Assistant for the Department of Medical Oncology. He has taught at The University of Texas MD Anderson Cancer Center, Pierre and Marie Curie University in France, and Sino-French Institute of Onco-Hematology in China. He has been a visiting professor at the Mount Sinai School of Medicine.